BEAR NECESSITIES: Fiona Wells shows some of her hand-made teddies at the art and crafts fair held at Compton Acres, Canford Cliffs, Poole. 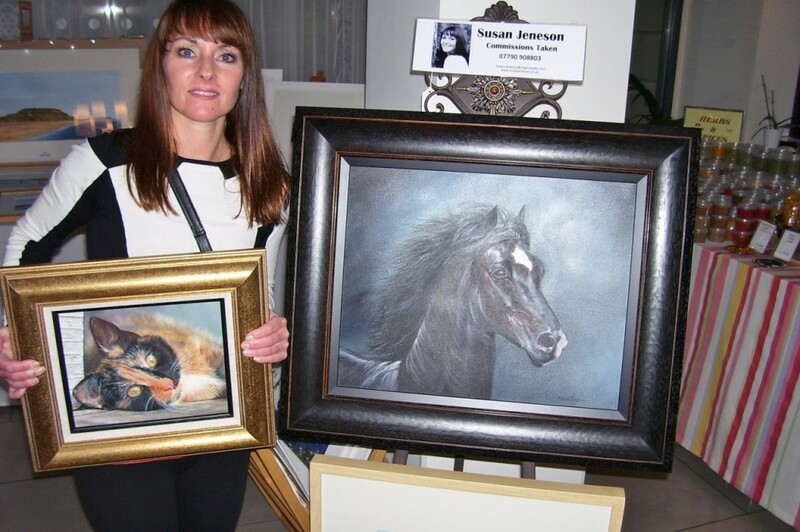 ANIMAL MAGIC: Susan Jeneson captures the characters of the horse and cat in the portraits she is showing at her stand. ARTISTS came together to display their wares on three floors at a multi-purpose venue at one of east Dorset’s wonderful settings. Glass blowers, card-makers, portrait artists, toy makers, woodworkers and local food producers were distributed over three floors of the Italian Villa. The event was so popular that the car parks at Compton Acres Gardens, Canford Cliffs, Poole, were close to overflowing. For those who decided to use more environmentally friendly modes of transport like bicycles, there was a distinct lack of facilities where two-wheeled vehicles could be put somewhere that was not in the way of something or someone else’s property. Amongst those displaying their repertoire of work was Susan Jeneson of Christchurch. 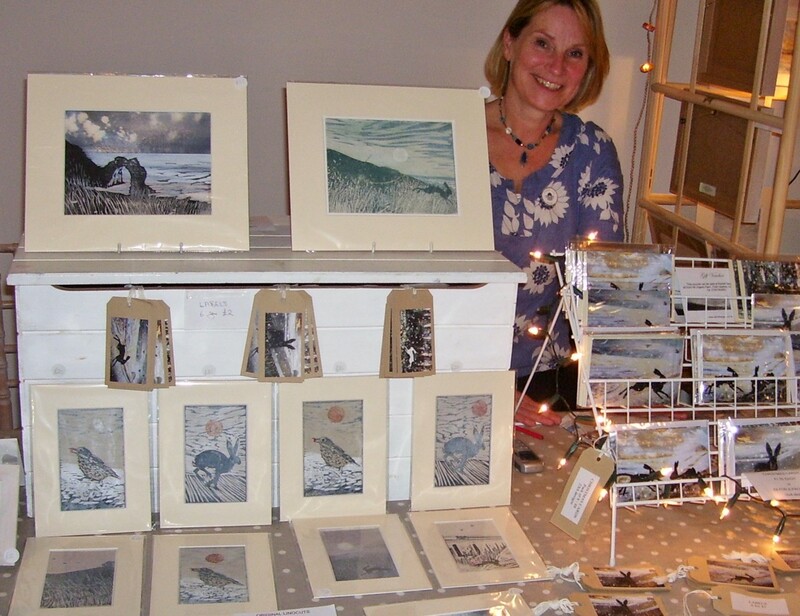 She specialises in animal portraits, landscapes and also does a range of hand-made greetings cards. 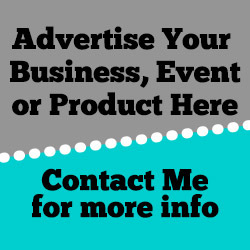 Many of her clients are fellow dog-walkers who share her passion for the local landscapes. Her portraits of dogs, horses and cats are mainly commissions and are based on pictures she take for the client, if they do have their own. Susan is self-taught and works with oils and living by the sea has inspired to work on landscapes and coastal scenes. Particular familiar landmarks that she has painted include Durdle Dor, Hengistbury Head and Old Harry’s Rocks. A passer-by at Susan’s stand was overhead to say that the pet portraits “captured the look of expectation through the eyes”. It was good to see glassblower Emsie Sharp again at the fair. I visited her at her studio at The Cowshed, Goldhill Organic Farm, Child Okeford, back in June and she gave a practical demonstration of the glass blowing process. Also based at the same units at Child Okeford and showing her unique style of portraits was artist Rachel Sargent. Visitors were checking out her linocuts, smaller paintings, prints, cards and labels. She is running her winter workshops with the emphasis on would-be students to experiment and develop their own ideas. Rachel is a graduate of the Roehampton Institute, London University. She moved into her current studio last year. The converted cowsheds that Rachel, Emsie and their fellow small businesses are in have a magnificent window looking out onto the Blackmore Vale. Coming from Southampton to display her bumble-bee themed teddy bears was Fiona Wells. They are hand-made solely by her and are mainly collectors items. However most items can’t be purchased for young people under the age of 14 but she does design some synthetic plush bears which have plastic safety eyes and are “young person friendly”. 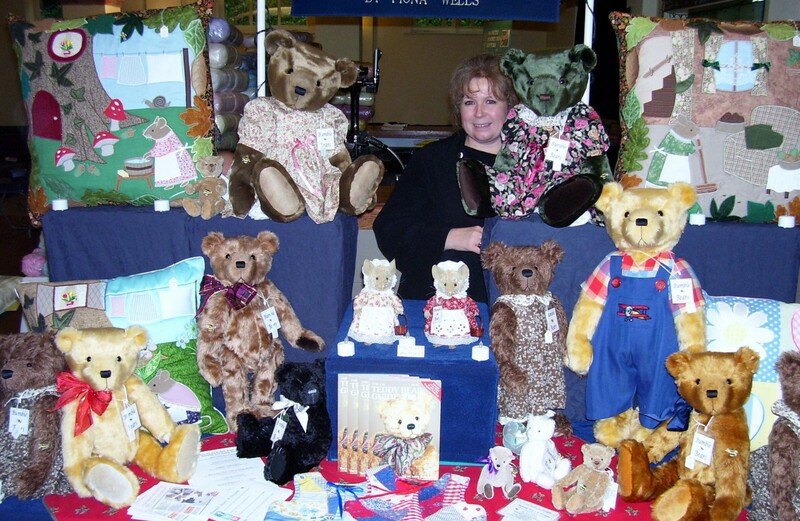 Fiona designs all the bears’ clothes herself and they are designed to a high standard of quality and detail. Also amongst other stallholders at the fair included cheesemakers Greens of Glastonbury, Shelley M Jewellery, Plum Duff Stuff from Taunton, By Lynette, The Wiltshire Beekeeper, glass designer Chris Dowding of Wareham and engraver Liz Foster of South Devon. The Italian Villa at Compton Acres is a multi-purpose venues that serves the needs of civil partnerships and marriages; wedding receptions; corporate entertainment; glamorous tie events and exclusive wedding receptions.